This entry was posted in iPhone Development, Programming, Swift and tagged camera, ios, swift, xcode by Jameson Quave. Bookmark the permalink. When I implement the above code, or run your project from github for this the iOS simulator shows that launch screen “CameraTutorial” and then remains blank… Is it remaining blank because it is not detected a camera? You need an app developer license or a enrollment from developer.apple.com and then pair the ID number from the developer side of apple to xcode 6.0 or later! Do you have any tips for displaying the video “mirrored”? Hi Jameson, I am struggling with barcode scanner in swift. I don’t know any objective-c and there is just tutorials using that language. So I am putting the pieces together with Capture Session and stuff, and I think that is the way. Would you be interested in making a tutorial about that?? Thank you for producing this content. It has been very helpful to me. I’ve tried this (part 1) tutorial go yours and I think it’s very helpful. However, I’m using an iPad Mini instead of an iPhone and I was wondering if that’s the reason that the picture displayed on the screen is so blurry. Even with the focusTo() method implemented, the image goes from pixelated to blurry. Is that how the camera “preview” should look? Any idea why that is? I’m sure it’s just not focusing right. Got a screenshot? When debug I saw that captureDevice is NOT null. 2. ‘AnyObject?’ is not convertible to ‘UITouch’; did you mean to use ‘as!’ to force downcast? The error is telling you how to fix this, change the “as” term to be “as!”. Hello, I have the same two errors. I fixed the second one by changing “as” to “as!” How do I fix the first error? Xcode says “Method does not override any method from its superclass.” Thank you! I have the same problem. The downcast is easy but I’m not sure how to work with the fact that “touches” is now an NSObject in the touchesBegan function. Yeah, this is a problem. Great tutorial, clean and direct… I am running into an issue that maybe you can help. My app only runs in Landscape so when the camera preview loads it is spun 90 degrees counter-clockwise compared to Landscape. Any simple way to adjust this for Landscape only Apps? Thanks for that. What about Part 2? 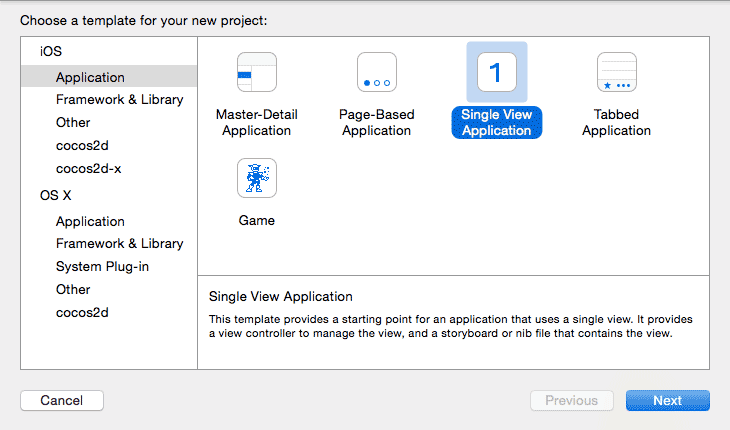 I have a problem when a build the project because swift change NSSet. var anyTouch = touches.first as! UITouch! Is it possible to put the video feed into an image view, so that it doesn’t have to take up the whole screen? I tried running this but got an error on the touchesMoved and touchesBegan overrides claiming there was no compatible type for the parameters. Did I miss a step? Thanks the comments are helping to solve all issues, thanks your post is really great.